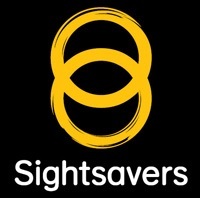 Sightsavers is recruiting for an NTD Programme Manager to lead on programmatic management for the implementation of NTD. The role will focus upon the trachoma elimination initiative and on integration of mass drug administration against NTDs. The role will also be responsible for overseeing the delivery of programme targets, provision of programme management guidance and direct technical support to build the development of integrated NTD programmes and advocacy for the elimination of NTDs on a national basis. Collaborating with key stakeholders to scale up Trachoma Trichiasis management, integrated mass drug administration, FE initiatives and support to the five leading NTDs – trachoma, Ocho, lymphatic filariasis, soil transmitted helminths and schistosomiasis. Identifying, developing and evaluating new approaches and tools for programme implementation. Leading on supporting implementing country teams in developing a system for monitoring and evaluating NTD programme performance. The ideal candidate will have significant experience of strategic programme development and technical knowledge of two or more of the five leading NTDs. You will be expected to have experience of managing an integrated NTD programme ideally in an international context. Please note that this is not an exhausting list of duties or requirements and this is an involved role. Please refer to the Job Description for further accountabilities and person specifications.